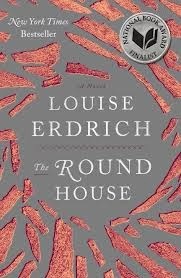 a book chick: "The Round House"
my take: I loved the voice of the narrator in this coming-of-age story. Joe looks back on a pivotal moment in his adolescence on a reservation in North Dakota. The cast of characters - his friends, his grandfather, his aunts, the postal clerk - make this brutal event bearable. I couldn't put this down….even though it's a bit of a downer, it's a page turner. It's hard to believe you could laugh out loud with such brutality as the crux of the story. Wonderfully written. Masterfully told. One of those books that lingers in your head and heart after you finish.